Combining Parisian elegance with Italian design, the Paris Armchair from the Rugiano collection draws inspiration from the glamorous interiors of the Art Deco era. Upholstered in the finest leather and fabrics, choose from a wide variety of colours in a smooth or textured finish. Hand-crafted with a deep seat and curved backrest, upholster with a quilted exterior for a luxurious touch. Featuring twisted bronze edging that forms the legs and frame, we love the combination of smooth white leather with this metallic detailing. 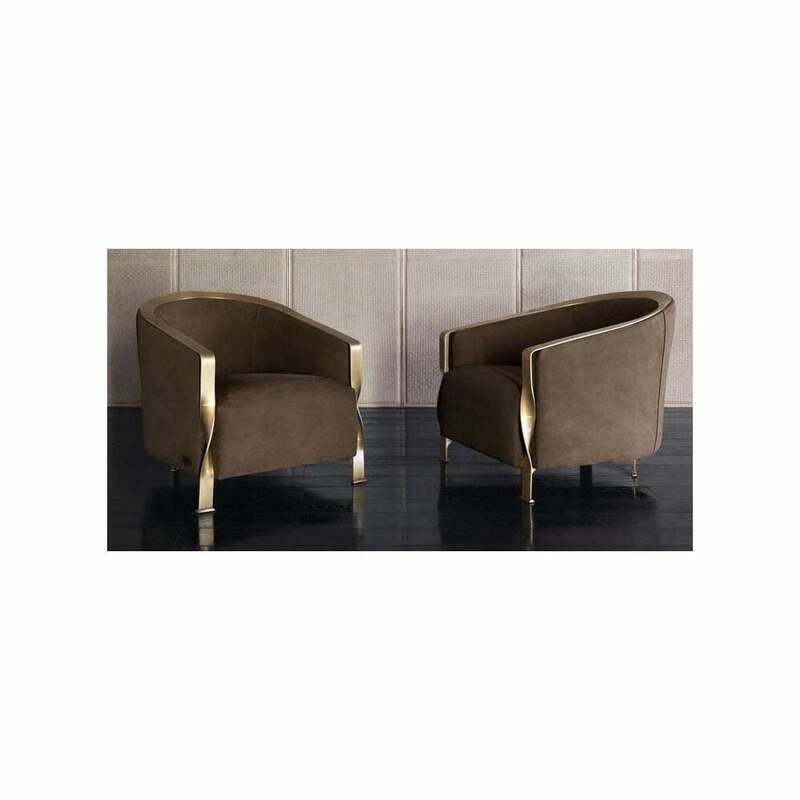 This chic armchair will bring glamour and elegance to any living room scheme. Combine with the Paris Sofa for a cohesive look. Available in two sizes, samples are available upon request. Get in touch with our team for more information and advice.